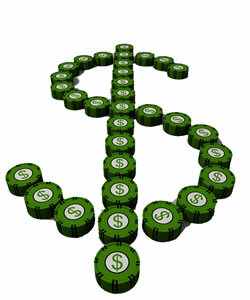 The following legit penny auction sites have viable affiliate programs. To see deal specifics, click through to the sites affiliate page where we list the offers, how to get signed up, and an overview of the affiliate deals. Happy Bid Day Affiliate Program – HappyBidDay converts. I know they do not look as crisp and sharp as some of the other sites but these guys know how to convert traffic into real money bidders and offer generous payouts. Up to a 50% share of the bid pack purchase. BidRivals Affiliate Program – Professional affiliate manager, high CPA’s of up to $100 and a worldwide brand make Bid rivals a no brainer for affiliates. These guys offer a generous cpa that is one of the highest in the industry. Quibids Affiliate Program – I’ll be upfront and say that getting approved to promote Quibids was not easy. I would venture to guess that most affiliates will not be allowed to promote Quibids at this time. Our page outlines the quibids affiliate deal and how to (try) get signed up. Bid Cactus Affiliate Program – Competitive CPA’s at $55 offered up front and ability to promote a site that is the sole surviving member of the Entertainment Auction Association make Bid Cactus a good choice to get signed up to promote. Beezid Affiliate Program – Lowest payouts in the industry right now with their $25 CPA affiliate program through Linkshare. However, they convert pretty well and they have some of the coolest items up for auction. Makes it hard not to promote Beezid. SkoreIt Affiliate Program – If you are looking to promote one of the most entertaining and engaging penny auction sites online then take a look at what kind of offers you can find to promote skoreit as an affiliate. You might be surprised. There are not any, at least not at this time (early 2012). MadBid Affiliate Program – One of the larger penny auction sites, Mad Bid offers affiliate a chance to promote penny auctions to a wide variety of international markets for a £20 CPA commission. *I will update links to the other affiliate programs as I have time to complete gathering information on them. As penny auctions become more well known and widespread, the demand and competition for quality affiliates is only going to increase. That means that offers and affiliate deals will increase. While today we are mostly looking at a highest cpa offer of around $100 per, in a few months from now we very well may be seeing the likes of $125, $150 or even $175. Penny auctions will pay for quality leads that drive traffic to them that they would not have received otherwise. Keep this in mind when you are building your penny auction affiliate website or creating your marketing. Affiliates shown in negative light? It surprises me that in the current penny auction environment, penny auction affiliates are frowned upon by much of the industry. I think it could be because some of the larger penny auction forums blame affiliates for much of the misleading advertising that created a boom of penny auction complaints and allegations of scams. While in reality the quality affiliates work hard to explain a pay per bid model that often times has unhappy bidders due to the naive sunk cost fallacy that has been reported by this UC Berkely paper. I freely admit that the advertorials that look like some news story claiming that the big new thing is an entertainment shopping website that lets you buy items for pennies on the dollar are misleading and not what this industry needs. Plus, many of those advertorials are promoting the scammier types of penny auction sites. I’m talking about those that make people register with a credit card and then sneakily get them to agree to be charged for a large bid pack purchase. To top that off, some sites even make them sign up for a recurring charge each month for additional bids and rig the auctions so the real bidders can’t hardly ever win! These sites and their associated affiliate markerters have put additional pressure on the legitimate penny auction businesses that already face the challenges of explaining the pay per bid business model to leery customers. This, is where penny auction affiliates come in. A quality penny auction affiliate is going to bridge the gap between the consumer (the prospective bidder) and the penny auction site themselves by being the third party that explains how they work, lists the benefits, discusses the down sides and highlights the pit falls for bidders to be aware of. Of course there are thousands of ways to promote as an affiliate so think outside of the box and try different things. Get signed up with one of the penny auction sites above and start making some money in this hot new niche market! I am an affiliate for Triple Clicks. Their auctions are dominated by the big stacks. I am watching their strategies and learning a lot. I am not getting in on the action until I feel I can win. I feel it is honest and I like the format. Great report. I just wanted to see how updated is this information and where I can find more or talk to someone..